"Mark Otieno Odhiambo of Kenya competes in the heat one of the Men's 4x200 Metres Relay during the IAAF/BTC World Relays Bahamas 2017 at Thomas Robinson Stadium on April 23, 2017 in Nassau, Bahamas." Athletics can be one of the greatest challenges in sports photography. There is often so much going on at the same time that managing your time is very important. However, the good thing about relays is that everything happens on the track and finishes in the same place. And most obvious, there are no overlapping events. Last week, we documented the IAAF/BTC World Relays Bahamas 2017 at Thomas Robinson Stadium in Nassau, Bahamas. Beautiful venue, amazing country and for the most part great weather. 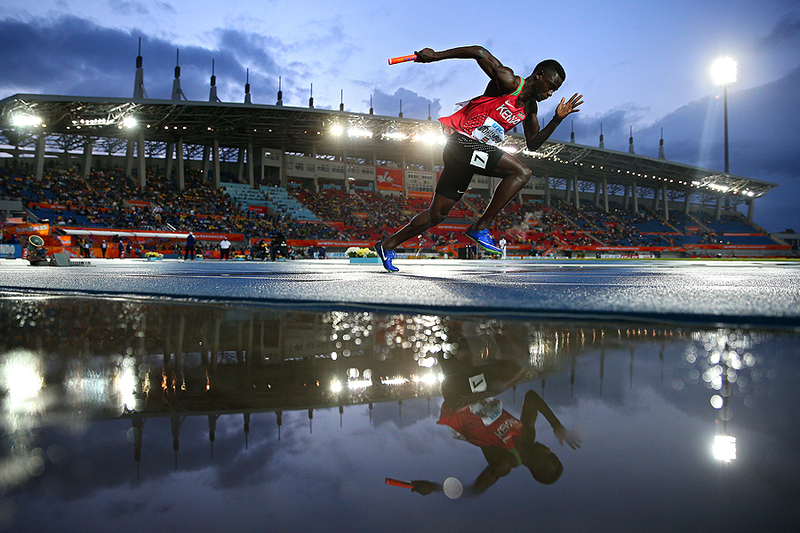 While most would enjoy clear skies, a little bit of rain helped make some compelling images during the championships. An exciting couple of days, and a good warmup for a summer full of athletics championships, here is a condensed edit of the event.